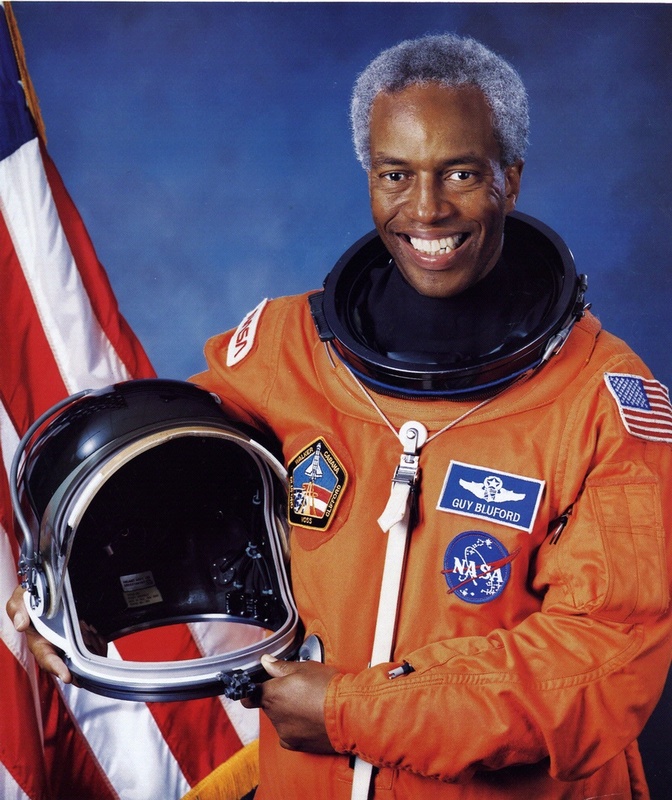 Guion “Guy” Bluford became the first African American to fly in the Space Shuttle Program. Guion “Guy” Bluford became the first African American to fly in the Space Shuttle Program. Before joining NASA, he flew F-4C fighters for the Air Force in Vietnam and completed 144 combat missions.